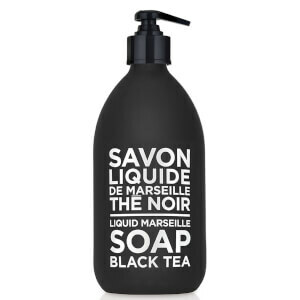 The Compagnie de Provence Liquid Marseille Soap is a gently perfumed hand and body wash infused with a delicate fragrance created in Grasse; a town on the French Riviera known as the perfume capital of the world. Made in a cauldron to maintain traditional practices, the naturally glycerined liquid soap uses Vegetable Oils and naturally foaming Coconut to gently yet effectively cleanse the skin of dirt and impurities. 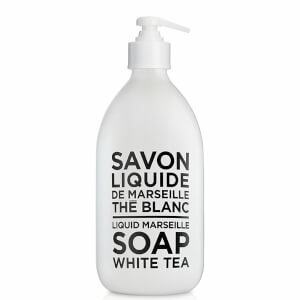 Can be used as a hand soap or bath and shower gel. 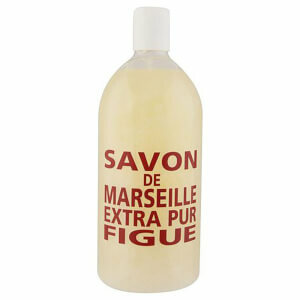 Free from colourants and animal fats. Lämplig för dig som tvättar händerna ofta. Kan användas som duschgel. Applicera på fuktig hud, gnid försiktigt och skölj noga.